By the time September rolls around, summer is (mostly) over and everyone is going back to school. This year, I thought I’d join the crowd. Yep, today is my first day of grad school! It’s been a few years (8) since I’ve been in school, so I’m a little nervous about doing homework again. But I’m also really excited to be starting a new chapter in my life. Really really excited – I was up until sometime after 1am this morning, too excited to sleep. 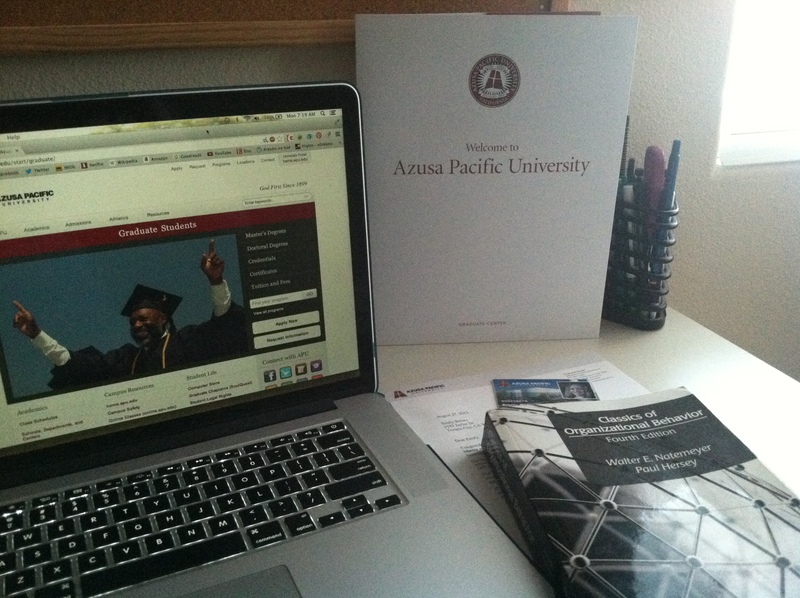 I am studying for a masters in leadership at Azusa Pacific University. I’ve already met my professors and fellow students, and tonight is our first class meeting.